OPPORTUNITY to develop Coping Skills and Self-Confidence. Also to provide the opportunity to make friends and to interact with other children with similar illnesses and experiences. EXPERIENCE Group living in a camp environment. ADVENTURE Fun-filled experience away from home. ​CONCERN for ecology and a desire to help preserve the earth. Camp Challenge is a non-profit organization dedicated to creating a life-long experience for our campers. We are ACA (American Camp Association) accredited and have a full medical staff on site for the entirety of camp - at least one doctor and four nurses 24 hours a day. Our entire staff are volunteers, full of life and energy pouring all of their talents and love into camp week. Camp was inspired by a group of nurses, doctors, and parents desperate to give children fighting cancer a chance to experience childhood. Camp begins in 1987 with the collaboration of the community, medical personnel, and particularly Katy McHugh and Phyllis Embrey, director of the Cancer Association of New Orleans. The two, along with many others, pulled together the first ever Camp Challenge. Camp has since grown tremendously. 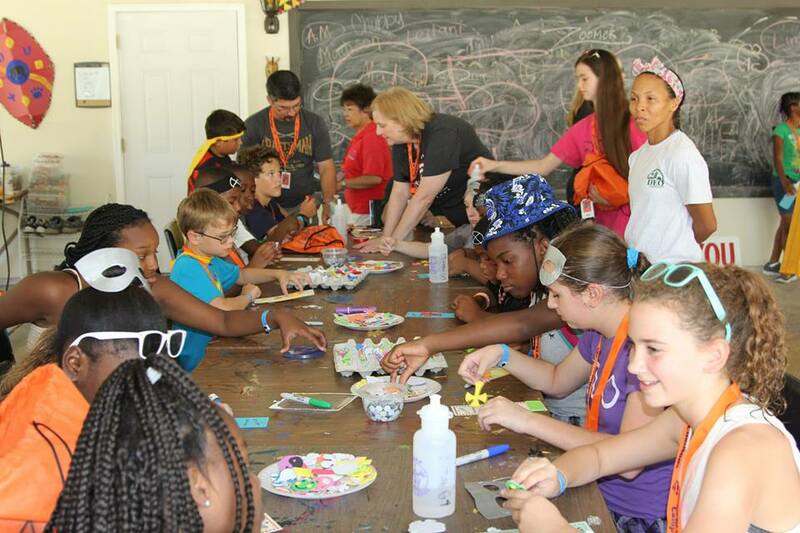 Now hosted by our dear friends, Louisiana Lions Camp in Leesville, La, camp is a fully handicap-accessible camp perfect for all of our campers dependent on special medical attention. We are run by our Board. The Board of Camp Challenge has been served by many generous volunteers. Parents of Children with cancer, medical professionals, child life and social services professionals, community leaders, and lately even former campers who have grown up (sort of) and continued to volunteer. This is what we’re all about: our campers. The one “vision” and the one “value” that has guided us this far is the quote our staff is very familiar with: “It’s for the Kids”. The campers are the heart of Camp Challenge. We started in the early years with 35 to 40 campers, and we’ve grown to as many as 130 or more in recent years. They come to us from all different backgrounds and experiences, and each is a unique personality. Some are very sick, some are the picture of health, but all of them know what cancer -amongst other illnesses- means all too well. Many of the “patients” get well with time, and some become our camp angels. We love them all!! And they love camp. Camp Challenge is the highlight of their year. It’s fun and it means something. It’s an opportunity to share the experience, the challenge, of living with illness. 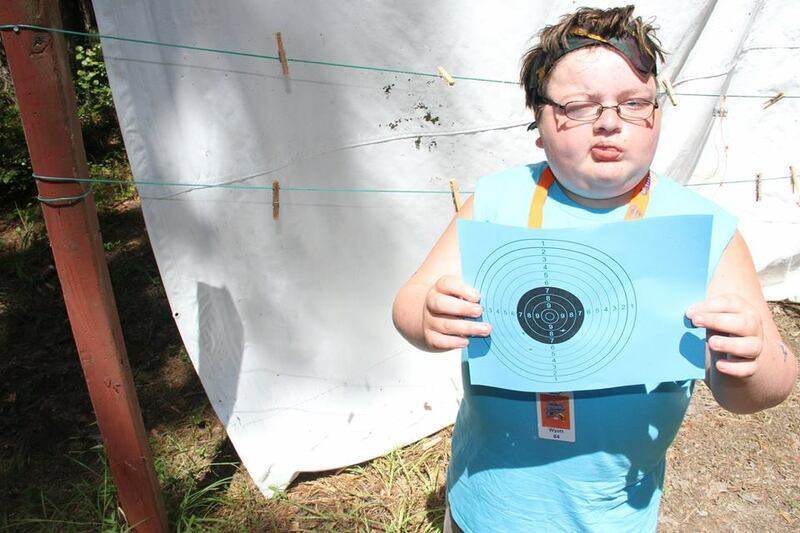 Camp is a place for inclusion, acceptance and finding the best in all of us. We make sure that every activity has a role and place for everybody. We stand by our campers, encouraging team play, fairness, and creating friendships. We visit the pool at least once a day, guarded by certified life guards. Not to mention, LAKE DAY! With canoes, paddle boats, and fishing! Everyday the arts and crafts staff has something for us to make to bring home so we may remember camp all year long. With an array of choices! Our sports hut has mini golf, basketball, tennis, and bowling, obstacle courses, YOU NAME IT! WE GOT IT! After our lunch and our afternoon nap, camp moves to our night time activities. Our activities follow the narrative of the camp theme. We play massive games, solve camp-wide puzzles, attend THE Carnival, have pool parties - you really just never know when Broadway (activities planner extrodinaire) is involved.